Evildoers and bullies, beware. Batman has got your back. Sure, he’s not nearly as stealthy or intimidating when wearing his old school blue and grey costume. And yes, he’s only 26 inches tall and made from polyester and foam. And, perhaps, with all the extra attention you’ll get from wearing a bright Batman doll as a backpack, you could possibly attract more bullies and muggers than if you were just wearing a regular backpack. 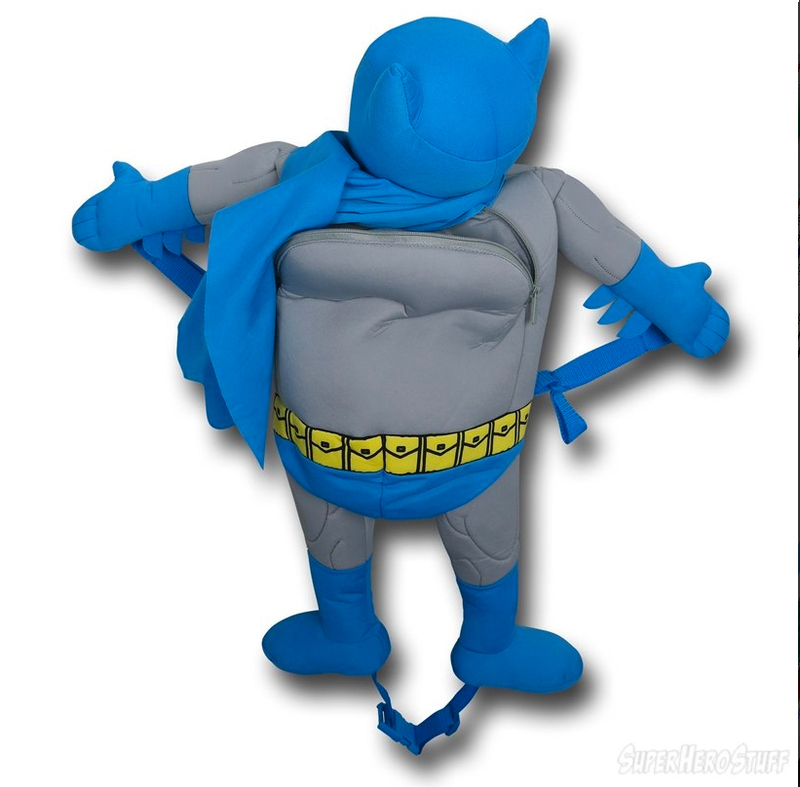 It’s the Caped Crusader, though, and he can do anything… except hold your laptop in his little 12x9” pocket. Ok, so I guess Batman doesn’t have your back as much as he just holds your snacks. The Batman Backpack Buddy is available from Superherostuff for $43.00. Thanks to Geek Alerts for sounding the alarm.